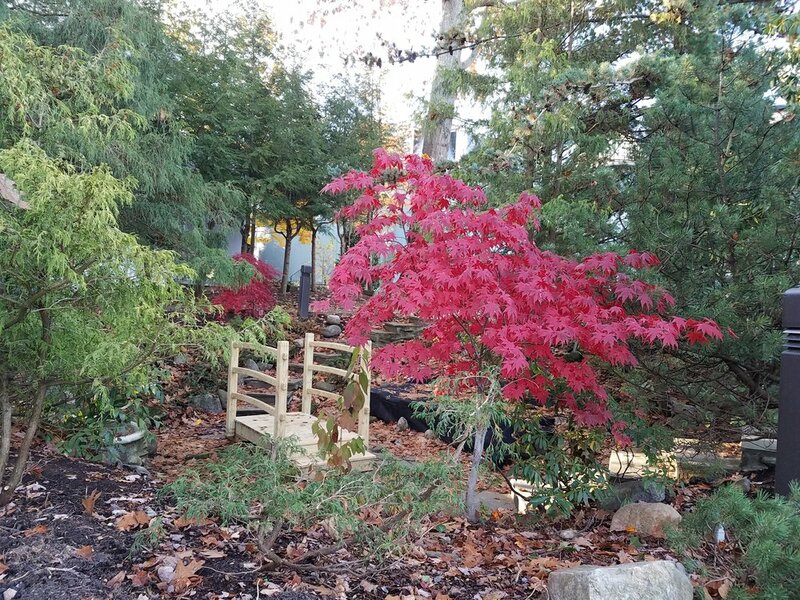 Maples planted in an Asian-influenced design surrounding a small decorative bridge. 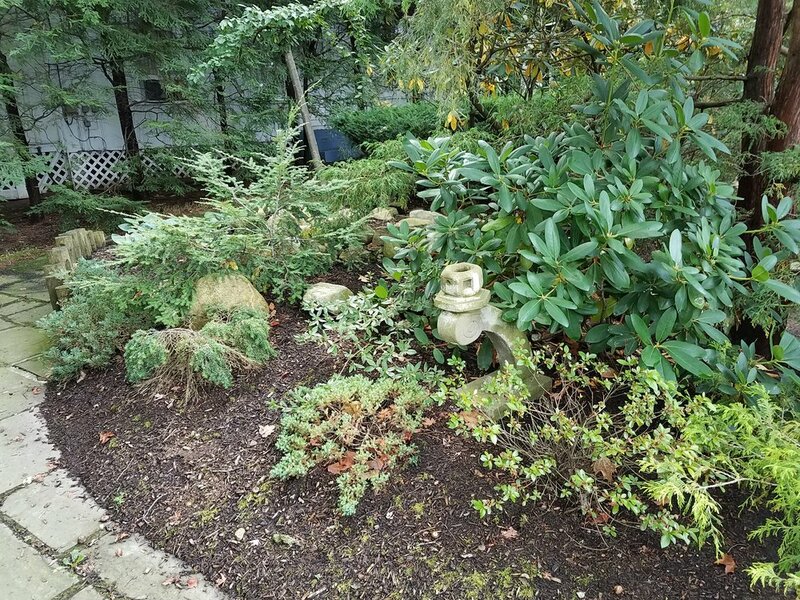 It is planted in a modified Japanese style with a cascading waterfall/fountain, decorative bridge and unique plantings of conifers, azaleas, and rhododendrons. The garden underwent a major renovation in the Spring of 2018 with new plantings paying homage to the original design. Historical Context: Located beside the Amphitheater along the Clark Brick Walk, this area was donated to the Institution as a Centennial gift by Mr. and Mrs. David Carnahan in 1969. The bridge was replaced at the time of the new Amp and the new landscaping was installed in 2018 matching many of the original plantings. Click images to view larger with details.